With “digital” continuing to outpace and outperform traditional marketing methods, the question is not “should we invest in digital marketing?”, rather “which companies should we partner with to achieve the best results”. With AboutMatch, you can easily find quality suppliers of SEO, SEM, Social Media, Video and Mobile solutions - suppliers that match your budget, location and specialisation, who can help you reach your customer goals faster. 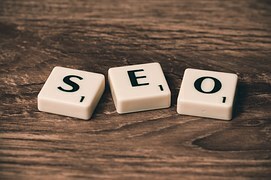 Search engine optimisation (SEO) is the approach used to get your business ranked highly – ideally on page 1 – of Google and other search engines. (90% of UK search is with Google.) SEO is a specialised field where the rules of engagement are changing constantly based on modifications the search engine companies make to their algorithms. For this reason, most companies find it far more effective to use an SEO consultant than to try to develop core competency in SEO internally. SEO consultants typically charge a monthly fee, and sometimes a set-up fee, to collaborate with your business to ensure your website is constantly optimised for a range of keywords which you wish to target. Some keyword phrases are so competitive that the cost to reach page 1 Google nirvana are too prohibitive, and in this case an SEO consultant can identify variations on these phrases which might not be searched as frequently by your target audience, but are easier to rank for and therefore more accessible. Some SEO consultants are based onshore in the UK, others offshore. AboutMatch only recommends SEO consultants with a UK presence, even if that presence is just an account management function, with the core team in another country. We find a local presence mitigates risk and allows the SEO consultant to get a deeper understanding of your business through physical proximity and face-to-face meetings in the UK. Search engine marketing (SEM) is where you pay per click (PPC) on an ad which appears on the search engine’s results pages. Google’s product in this area is called AdWords. Many companies spend a fortune on Adwords without seeing results because, just like SEO, Adwords management is not simple, and for most, using a digital agency to manage your SEM activity will lead to better results, faster. While SEO takes time, usually many months, to reach full heartbeat, SEM is a “quick win” strategy if the focus is on driving traffic to your site in the short term as well as ongoing. Businesses need to know what people are saying about them on social media. There are companies which specialise in monitoring your brand online and on social platforms such as Facebook and Twitter. You then have access to dashboards, heatmaps, reports with customer verbatim comments and more, so you can hear what the market is saying and take actions as required - whether urgently putting out a fire such as a celebrity complaint, or feeding input back to marketing regarding the latest offer. Social media monitoring companies use a blend of software and human beings to provide a comprehensive picture of your brand online, 24 hours a day, 365 days a year. If you’d like to have a chat with a social media monitoring company to assist, start here. With Youtube one of the most visited sites on the entire Internet, and the trend towards visualising information to make it more digestible to customers, video is an essential tool in any marketer’s kit. Videos are used to showcase client testimonials, explain a company’s value proposition, and “how-to” videos show customers how to use your products or services. Video animations are a cheaper form of video production than using real-life people, as no camera-men and equipment are required. There are also some exciting innovations in video marketing which allow companies to produce “1-to1” videos personalised to each and every customer. For example, a company sending out millions of bills need no longer send by paper or as a pdf attachment, rather as a “video bill”, with a link to a video personalised with the customer’s name and unique billing data, taken from feeds from enterprise systems. These 1-to1 videos drive high engagement rates which lead to demonstrable bottom-line benefits such as increased sales. What better way is there to engage and retain customers than having your brand sitting in their pocket, on their smartphone! That’s one of the core reasons more and more companies are developing mobile apps. Find a company to develop an app for your business.